From Beijing to Budapest, the journey to the Liebherr 2019 World Table Tennis Championships is officially underway for players hoping to represent the Chinese National Team with the first stage of the ‘Marvellous 12’ qualification tournament commencing on Tuesday 12th February. Split into two stages the Marvellous 12 is an internal qualification tournament designed to help China identify its player line-up for the Liebherr 2019 World Championships. Stage one of the Marvellous 12 will be hosted at the Chinese National Training Center in Beijing from 12th – 16th February. In the race to secure a spot in the Men’s Team, 15 hopefuls will meet in a round-robin contest with the top six qualifying for the second stage. Contesting stage one are the following: Yan An, Zhou Yu, Xue Fei, Liu Dingshuo, Zhao Zihao, Zhou Kai, Xu Chenhao, Ren Hao, Xia Yizheng, Ma Te, Zhu Linfeng, Zheng Peifeng, Zhou Qihao and Yu Ziyang. A similar approach will be used in the Women’s Team where 16 players will be narrowed down to six. However, with the aim to selecting players with a specific playing style in the build-up to Tokyo 2020, at least two attacking pimple style players must advance to the second stage. Two attacking pimple players will replace the contestants finishing in fifth and sixth positions if necessary meaning that two of Mu Zi, Zhang Rui, He Zhuojia or Sun Mingyang will progress. Some Chinese media outlets speculate that this push for the attacking pimple style could be a step to neutralising the threat coming from Japan’s Mima Ito moving forwards. The 16 players set to appear in the first stage are: Mu Zi, Feng Yalan, Che Xiaoxi, Li Jiayi, Liu Fei, Zhang Qiang, Gu Yuting, Liu Xi, Liu Gaoyang, Zhang Rui, Wang Yidi, Chen Ke, He Zhuojia, Sun Mingyang and Sun Yingsha. Following the conclusion of play in Beijing, the Marvellous 12 will continue in Shenzhen from 28th February – 2nd March where 12 players in the men’s and women’s events will fight it out for a spot on the plane to Budapest. 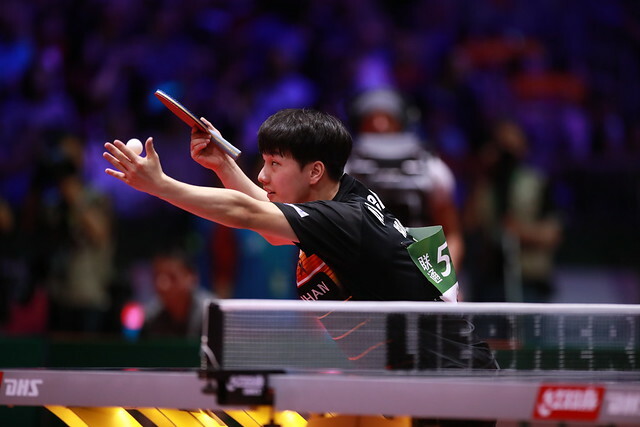 The top six from stage one of the men’s event will join Ma Long, Xu Xin, Fan Zhendong, Lin Gaoyuan, Liang Jingkun and Wang Chuqin in stage two. Over in the women’s draw Ding Ning, Chen Meng, Liu Shiwen, Zhu Yuling, Wang Manyu and Wu Yang await the six successful players from stage one. Due to lack of systematic training, Zhang Jike has withdrawn from qualification.